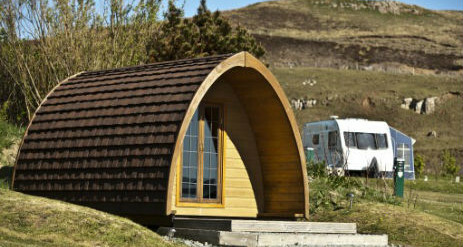 Go glamping at our Skye Club campsite at Loch Greshornish on the magnificent Isle of Skye in a choice of yurt or camping pod. 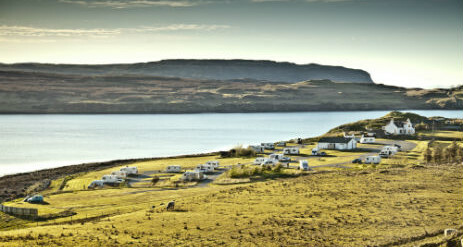 The glamping site is set in an idyllic location right on the shore with stunning views across the water. Highland cattle and sheep graze on the working croft and you can buy freshly laid hen or duck eggs at the site shop along with most other essentials for your stay. 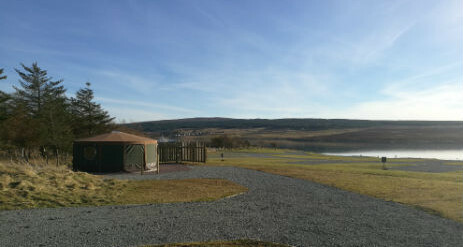 Our wonderfully crafted basic camping pods stand in their elevated position with views over the Loch. From here you will be able to admire the spectacular sunsets and gaze at the unforgettable dark night skies. One of the two pods is dog friendly. 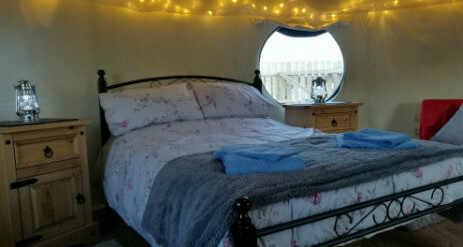 Each pod sleeps up to 2 adults and 2 children (up to 13 years old) or 3 adults. Pods include carpeted floor, blackout blinds and decked area. No camping equipment or beds are supplied. All you need to do is remember your camping kit! 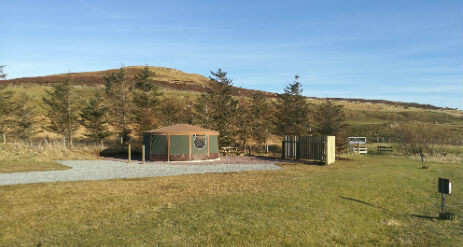 Yurt and Camping Pod holidays on our Skye Club Site give you full use of the Site’s facilities including showers, toilets, wi-fi, washing machine, dishwashing facilities, ice packing freezing and more. The facilities at Skye Club Site are immaculate; the toilets alone have won Platinum Award of the Year 2017 and Attendant of the Year 2017. 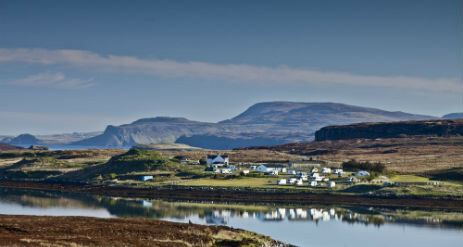 Portree is the main town on Skye, set round a harbour you’ll find the Aros Centre. As well as theatre, films and concerts it’s here you’ll find out more about the Isle through a series of exhibitions. To catch a glimpse of the sea eagles catch a boat from the harbour. 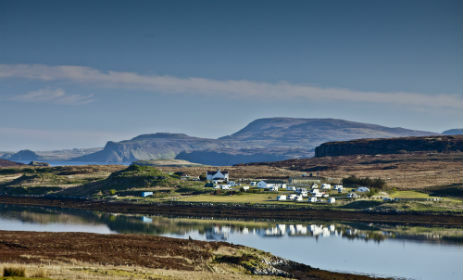 Visit Coral beach, or catch a boat from the Dunvegan castle jetty and go seal-spotting.